Have questions about this product (ID: 2412)? 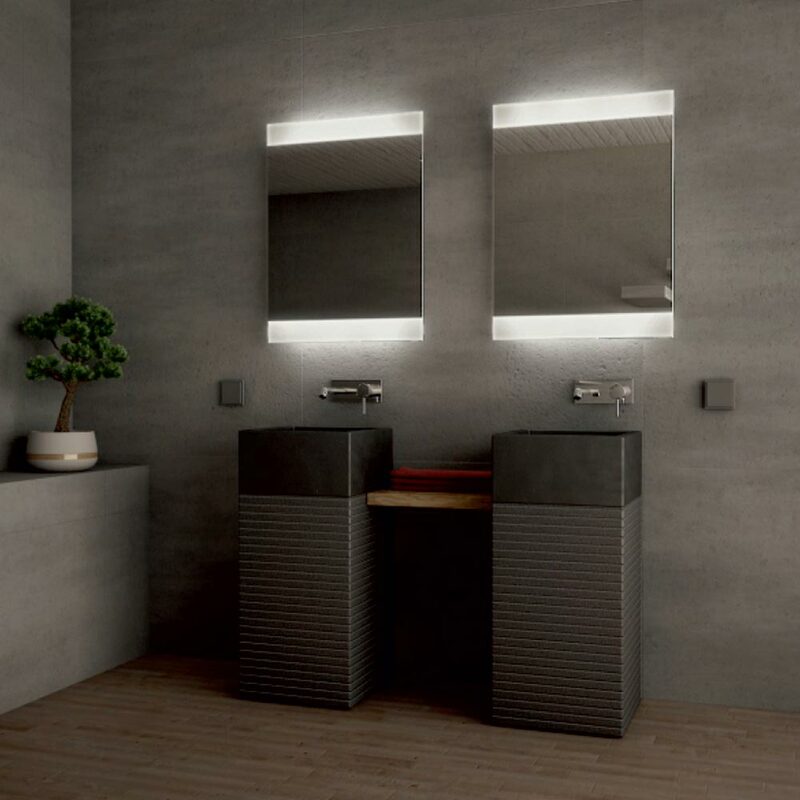 Minimal led mirror is ideal for your own bathroom because it is chic and practical. 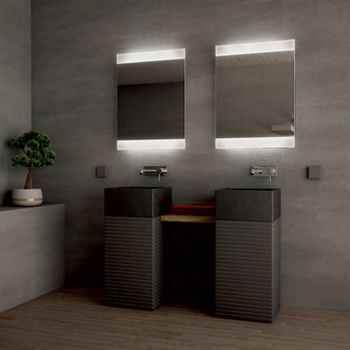 You don’t have to use any other lamp in your bathroom as minimal led mirrors brightens adequately. One of the minimal led is on the top the other one is at the bottom. This mirror is 4 mm float mirror and it has 5 year guarantee against corrosion. All mounting materials come in the box and the most striking feature is LEDs are shipped ready-made cable installed in transformer . It’s dimension is 32’’H x 24’’ W x 1’’ D .